What's Celebrity Have To Do With It? Should Celebrities Know What They're Backing? Turn on the TV and you’re just about guaranteed to come face-to-face with a celebrity or public figure selling a product or service. While those spokespeople may carry an air of respect and trust with consumers, what happens when the product they so happily lent their voice to turns out to have devastating affects on the consumer? Not much really, but it might be time for that to change. The use of celebrities in commercials for payday loan networks, for-profit colleges and reverse mortgage lenders isn’t a new phenomenon. In fact, consumer groups have warned of the dangers these types of products and their corresponding celebrity backers pose for consumers for years. 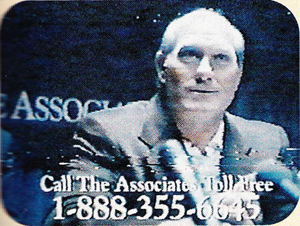 Tom Feltner with the Consumer Federation of America tells Consumerist that concerns regarding celebrity appearances in advertisements for financial products and services is just one portion of a larger problem regarding potentially predatory financial products. Christina Tetreault, staff attorney for Consumers Union tells Consumerist that the goal when using a celebrity is to have whatever goodwill consumers have about that particular public figure transfer to the product being sold. So while a $3 tube of toothpaste you bought on the say-so of a celebrity may only last a few weeks or months in your home, the ramifications of taking on harmful financial products or services can last a lifetime. After all, reverse mortgages have been found to leave families with debts they can never repay, four-in-five payday loans are made to consumers already caught in the debt trap, and on average 54% of students who attend a for-profit college leave with out a degree — with one-in-five of those students defaulting on their loans. What’s Celebrity Have To Do With It? Additionally, Martindale says that marketers use famous faces to tap into viewers’ emotional attachments to celebrities and the characters they play. “The more you can prime the viewer to trust the person delivering the message, the more likely they’ll trust the message,” she says. Former Senator Fred Thompson, a paid spokesperson for American Advisors Group: Reverse Mortgages, maybe more likely to evoke trust or nostalgia among seniors than an unknown, middle-aged actor because of his prominent political history and his work in movies and, most prominently, on the television show Law & Order. Likewise, ads for the payday loan lead generator MoneyMutual tend to feed into its spokesperson’s history. Montel Williams, who hosted a long-running syndicated talk show, can often be found gracing the small screen for MoneyMutual during the same time of day his show aired, so it’s likely catching the eyes of his previous viewers. The same could be said of the ads of for-profit college, Strayer University. Comic Steve Harvey, who writes funny, bestselling self-help type books (which have been made into wildly popular movies) and currently hosts Family Feud, would be an attractive spokesperson to someone who might want to better their life through education. While it’s highly debated whether or not consumers’ reception of a celebrity ad provides a high return on investment to the advertiser, there is some evidence that celebrity endorsements lead to bigger sale for companies. And even if the numbers don’t back that up, executives around the world still believe strongly in the power of a famous name, which means the ads aren’t likely to go away anytime soon. A report from researchers at the University of South Alabama and Florida Gulf Coast University found that the general belief among advertisers is that messages delivered by celebrities provide a higher degree of appeal, attention and possible message recall than commercials featuring non-celebrities. Researchers concluded that celebrity advertising may be influential because celebrities are viewed as dynamic, with both attractive and likable qualities. Additionally, their fame is thought to attract attention to the product or service. Three factors were found to be associated with the degree to which a celebrity advertisement is effective: source credibility, celebrity knowledge and trustworthiness, and celebrity appearance. Of the three factors, celebrity knowledge and trustworthiness was of the most importance when it came to financial products or services being advertised. Celebrity knowledge or expertise was defined as the perceived ability of a spokesperson to make valid assertions. When celebrity spokespersons were viewed as experts in the product category, they were more liked and more highly correlated with believability and trustworthiness. That may be one reason why companies tend to use older, more well-known figures when advertising products such as reverse mortgages. And successful, well-rounded celebrities in payday loan and for-profit college commercials. According to a study [PDF] by Harvard Business School associate professor Anita Elberse, a company’s decision to use celebrity endorsers as an advertising strategy largely paid off in the form of brand-level sales. In fact, signing an endorser created an average 4% increase in sales, depending on the celebrity and product in question. Although a 4% increase may seem rather insignificant, when a company brings in billions of dollars in revenue each year, a few percentage points extra translates into a hefty chunk of positive revenue. This current rash of celebrities pitching questionable financial products is not the first. 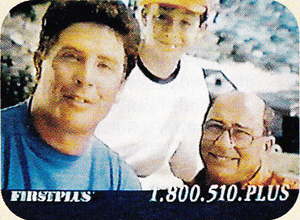 Back in 1998, our colleagues at Consumer Reports looked at a trio of sports legends who were all shilling for subprime lenders. For two decades, the 5-time All Star Yankees shortstop and 7-time World Series champ was the voice and face of subprime lender The Money Store. When that gig ended, he ended up in ads for a Money Store competitor called National Finance. 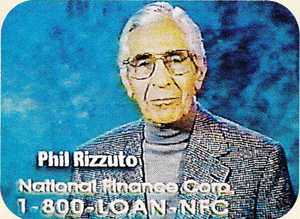 At the time, reps for Rizzuto chose to not comment on Scooter’s apparent love of subprime lending. It’s no secret that famous athletes are the spokespeople of choice to promote sporting goods like sneakers and workout clothing, so it should also make sense that companies selling financial services and products would use celebrities or public figures that relate to their products or targeted customers. So while LeBron James may be the preferred representative for a $200 pair of Nikes, it’s easy to see why a grey-haired Sen. Thompson would be the perfect fit to tout reverse mortgages to retired consumers. But there’s a big different between shelling out a few hundred bucks for a pair of shoes and signing a contract to receive thousands of dollars in equity from your home. For instance, consumers likely have a pretty good idea about what the pricey pair of shoes looks like and they can run to the local shoe store to try on the sneakers before heading to the cash register. And if things don’t work out, there’s always the option of returning the footwear. That’s not exactly the case for products like reverse mortgages where tens of thousands of dollars are on the line. Reverse mortgages allow a borrower, 62 years or older, to convert the equity on their home into a lump sum or monthly payments. Generally, those funds are not required to be paid back until the borrower moves or dies. Although that might sound like an easy way to receive an infusion of much-needed cash, the process can often become burdensome for borrowers and their families. Back in 2012, Consumers Union, along with California Advocates for Nursing Home Reform provided comments to the Consumer Financial Protection Bureau regarding consumers’ use of reverse mortgages. Among the groups’ concerns was the proliferation of ads inundating older Americans. “The brokers and lenders of reverse mortgages are saturating the airwaves, print media, and internet and using sophisticated marketing methods that target and track prospective senior purchases,” the comments stated. In one specific instance, a 76-year-old Florida resident described to Consumers Union just how she was drawn to take out a reverse mortgage because of Robert Wagner’s appearance in the commercial. “Well, if he thinks it is good, I thought, it probably is,” she says. Although celebrities in advertisements aren’t forcing consumers to invest in a reverse mortgage, take out a payday loan or enroll in a for-profit college, the ads certainly have an impact on viewers, whether they’re completely forthcoming about the product or not. While using a celebrity spokesperson can increase the possible entertainment value of selling services on television or elsewhere, a misstatement about the product can be extremely damaging because it can attract potential borrowers for the wrong reasons. In the previously discussed AAG reverse mortgage ad, Thompson calls the product “the best advice for a better life,” which CU says would imply that the company provides the best advice for planning a future with a reverse mortgage. But that simply isn’t the case. “The seller of the product has an inherent interest in selling the product and cannot provide unbiased information for potential borrowers,” officials with CU told the CFPB. Senate testimony from Lori A. Trawinski, senior strategic policy adviser for AARP in 2012 touched on that very shortcoming. Instead, consumers would be better off seeking input from a qualified professional advisor unaffiliated with a lender. The same could be said for Steve Harvey’s Strayer University or Montel’s MoneyMutual commercials. When consumers seek out either company they undoubtedly receive information only about that institution or product. But the real problem with the celebrity advertisements, and advertisements for financial products in general, is a lack of information regarding the real risks associated with the services. Should Celebrities Know What They’re Backing? Although we wouldn’t expect Fred Thompson to take out a reverse mortgage, or Montel Williams to seek out payday loan options, we should be able to reasonably expect that the celebrities have a working knowledge of the products — and their associated risks — they are hawking. That doesn’t appear to be the case for another potentially harmful consumer product: the LendVantage small-business loan shilled by Larry King. The only problem was that the product in question doesn’t actually make the loan itself. Like MoneyMutual the company collects information from would-be borrowers and sells it to lenders who specialize in funding. And more-often-than-not those lenders offer the loans at an exorbitant cost to consumers. According to the LendVantage website a business can get a $25,000 advance to finance a building addition. In all, the company agrees to repay $33,500 by paying $225 each weekday for about 30 weeks. Under those terms the company’s loan would incur an annual interest rate well into three figures. Bloomberg Businessweek reported at the time that King admitted he didn’t actually look at the rates borrowers would have to pay for loans through LendVantage before he agreed to be a spokesperson. “When you’re a spokesman, you have to have some faith,” he told Businessweek. Perhaps the situation is similar for Thompson, Williams and Harvey. While it could be considered admirable that Thompson wants to inform consumers of their options, that’s not exactly what he does, since the company doesn’t offer actual planning advice outside of it’s own product. We don’t know if King, Thompson, Williams or Harvey have nightmares about collecting a paycheck for selling a product that may lead to irreparable financial damage for consumers, but maybe they should. Although U.S. regulators and consumer groups have worked tirelessly to raise awareness of the risks associated with financial products, there could be more done when it comes to reining in the promotion of such ads. The Federal Trade Commission, which oversees and enforces several rules related to deceptive advertising, routinely brings action against potentially predatory financial companies. Additionally, the agency provides companies with guidelines to ensure they are not perpetrating deceptive marketing tactics. Included in those guides is a section devoted to celebrity endorsements. However, an endorsement and a spokesperson — which Thompson, Harvey and Williams are considered to be — are two different things and carry very different liabilities. Technically speaking, a spokesperson is an individual who makes statements on behalf of another individual or a group. An endorser is a person who declares their truthful personal public approval or support of a product or service. While consumers may be attracted to a product shilled by an spokesperson or an endorser, only the endorser actually faces potential legal ramifications. When an advertiser stretches the truth too far, the FTC might also hold a product’s endorser partly responsible for the deception if they knew the ad to be untruthful, or if they provided testimony about a product that they themselves didn’t believe to be true. The FTC could find the individual liable if he or she had the ability to step in, changing the outcome of an advertisement, or if they were willing participants in the deceptive ad. For the most part, proving liability hinges on the the FTC’s ability to prove that the endorser is not relaying their truthful beliefs about a product; meaning if an endorser says they lost 50 pounds using a product, they must have lost 50 pounds using that product. So while the spokesperson for a reverse mortgage may never be held accountable for their role in promoting a potentially harmful service, consumer advocates say more can be done to protect consumers. Officials with Consumers Union and the California Advocates for Nursing Home Reform recommended to the CFPB in 2012 that the Bureau carefully investigate the nature and impact of such marketing on consumers. The recommendations included, at the very minimum, requiring advertisements with celebrities to be clearly and prominently display information identifying the celebrity as a paid spokesperson. The groups also say the ads should be required to include clearly visible and written disclosures of the risks associated with the products.